500ft roll of 3/4" PEX plumbing tubing (non-barrier PEX tubing) for use in residential plumbing applications. Manufactured to ASTM F876/F877/F2023 and CSA B137.5 standards, certified for use in potable water applications. Backed by a 25 year manufacturer's warranty. 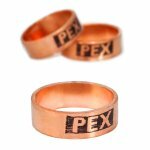 UPC listed by IAPMO. 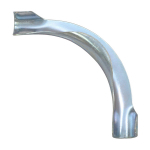 Is manufactured to ASTM F876/F877, AWWA C904 & CSA B137.5 standards. Tested and Certified by NSF for potable water applications and complies with NSF/ANSI 61 standard. 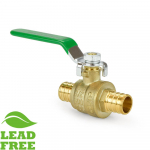 Lead-Free Certified by NSF, complies with NSF/ANSI 372 (nsf-pw-g) standard and SDWA guidelines, lead-free compliant for all of the USA. NSF Certified to the Uniform Plumbing Code (UPC). Meets chlorine resistance requirements when tested in accordance with ASTM F2023. 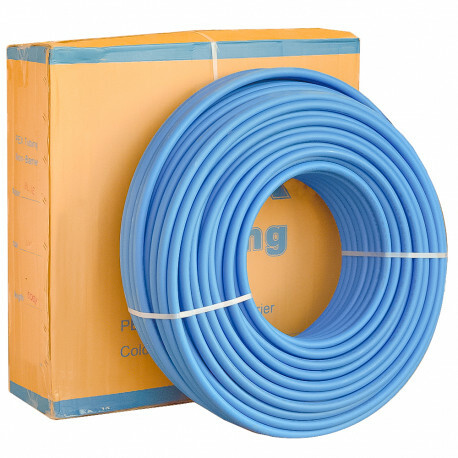 3/4" non-barrier PEX tubing can be used for residential and light commercial hot/could water plumbing applications. Everhot 3/4" PEX Tubing is PEX-B tubing and can be installed using either Crimp type connection system (Crimp Tool, Crimp-style PEX Fittings and Copper Crimp Rings) or Clamp/Cinch type connection system (Clamp Tool, Crimp-style PEX Fittings and Stainless Steel Clamps). 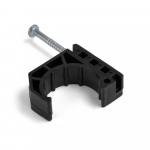 Also compatible with Push-Fit connection system (such as SharkBite), Viega Press type system and Compression type PEX fittings.